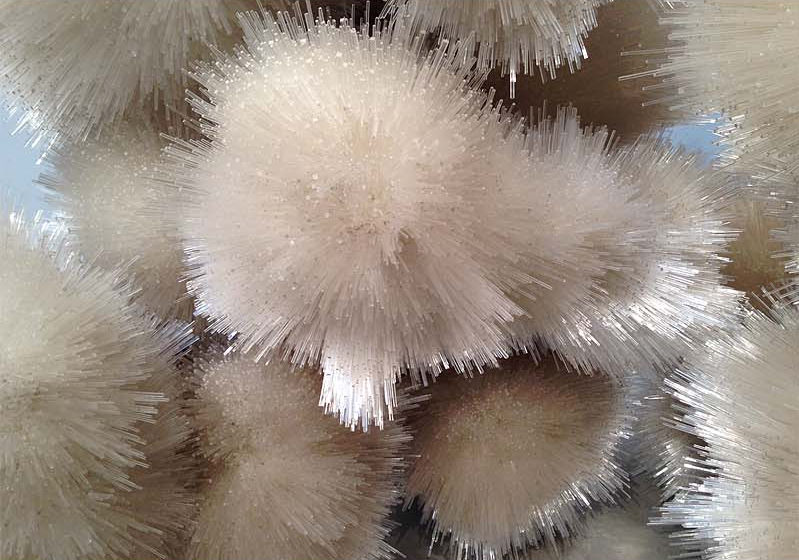 Tara Donovan: Index Cards & Acrylic Rods #ArtTuesday « Adafruit Industries – Makers, hackers, artists, designers and engineers! It was a spectacular day this past Saturday here in NYC, ideal for strolling through Chelsea and taking in a lot of art. To my delight most galleries still had great shows up and hadn’t yet reverted to their quieter summer group shows. 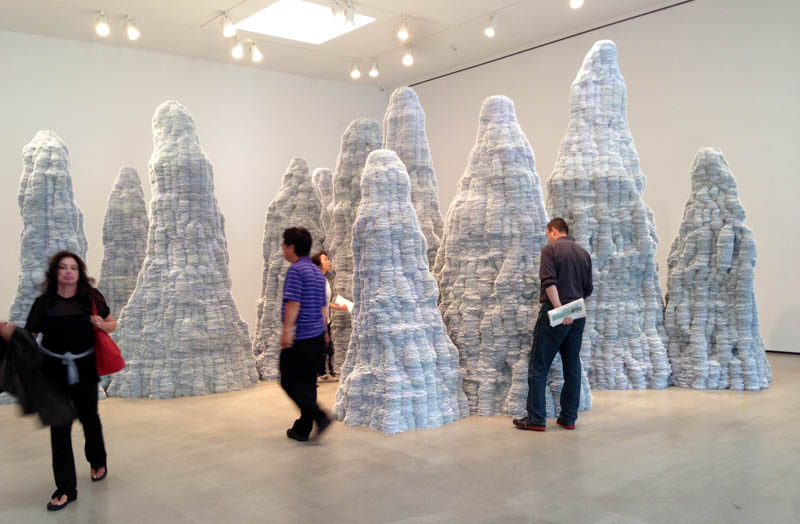 Over at Pace, the amazing Tara Donovan (previously here) had two new large-scale sculptures. For over a decade, the NYC-born and based Donovan has taken volumes of everyday materials and turned them into impressive works. Whether toothpicks, drinking straws, paper plates, styrofoam cups, or pieces of mylar, Donovan, a MacArthur Genius Award recipient, layers, piles, or clusters these items with a precise repetition until these products assume forms that evoke natural systems. These two sculptures currently at Pace are no exception. 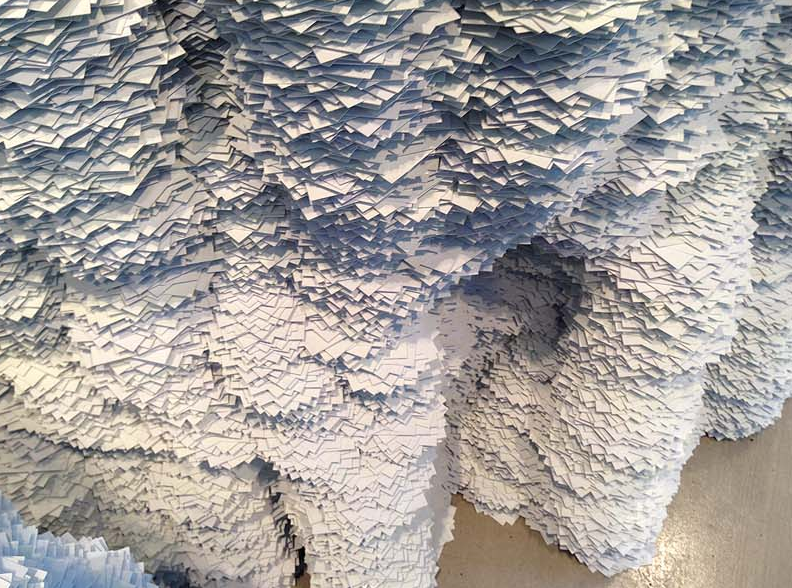 The first room in the gallery welcomes you with what seem to be a group of conical rock formations, possibly of a volcanic sort but, upon closer inspection, the millions of 3″ x 5″ index cards stacked and glued become evident, proving, once again, her ability to create amazing effects through the accumulation of identical objects. 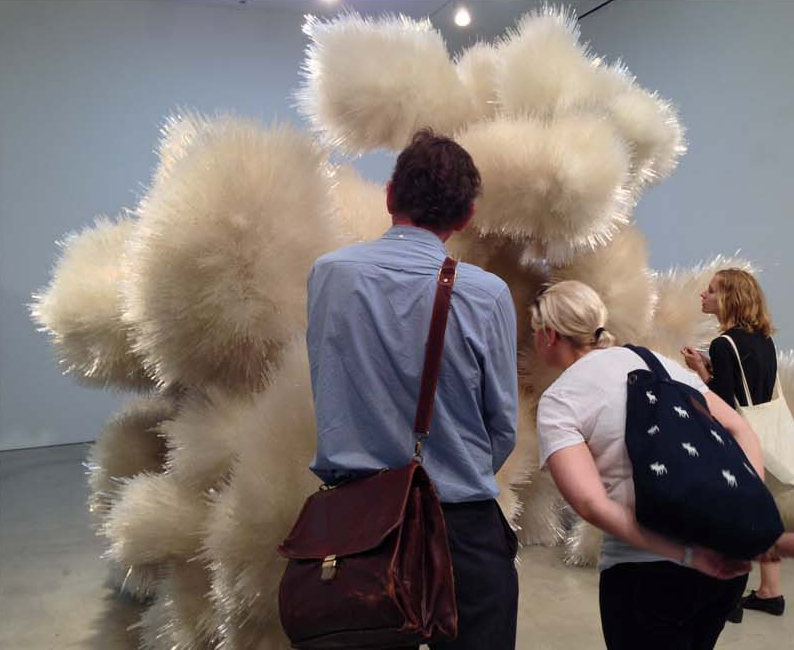 The second room contains what looks to be an almost fluffy or furry sculpture, but in fact is made of thousands of acrylic rods of different lengths, quite the opposite of soft or fluffy. These “bursts” are interconnected much in the way coral appears to be. Donovan has experimented with these rods before, but this work is her largest of the series. 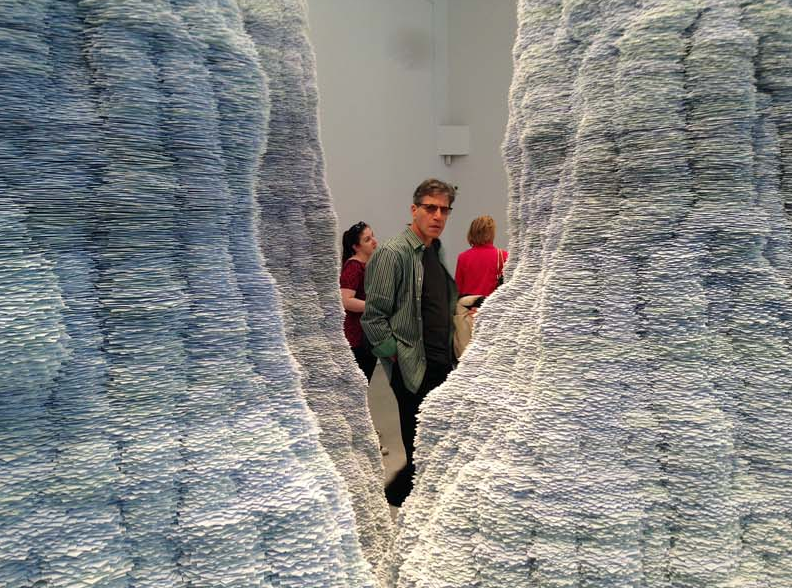 Tara Donovan’s sculptures will be on exhibit at Pace Gallery through June 28, 2014.